The Pan Niger Delta Forum (PANDEF) has said that it will never support any president that will not keep to restructuring the Nigeria state, irrespective of the party platform on which he will be elected on Saturday. The National Chairman of the forum, Air Commodore Idongesit Nkanga (retd), who voiced the position of the group while on a sensitisation campaign in Uyo on Sunday, explained that although they were backing the PDP presidential candidate, Alhaji Atiku Abubakar, they would withdraw such support if he backed down on the restructuring agenda after he had become president. 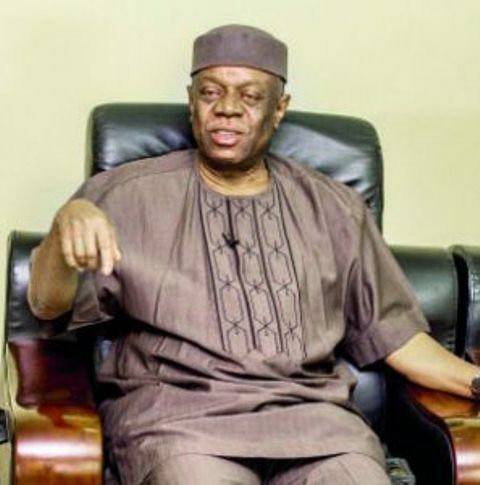 Nkanga said it had however, become important to spread the message of the endorsement of Atiku Abubakar by the forum comprising the PANDEF working in alliance with Ohaneze, Afenifere, Middle Belt Forum and some northern elders fora in the six geopolitical zones of the country since Atiku had been the only candidate in the 2019 presidential election promising to restructure the country. He disclosed that a mega rally the forum scheduled to hold last Saturday in Lagos was postponed because it coincided with the presidential rally of President Muhammadu Buhari. He said: “And because the presidential election is barely one week from today, a decision was now been taken that we go back to our zones and get the chapters of PANDEF to go round to sensitise the people and give them direction as to what we want them to do in the election of Saturday, and even in subsequent ones. “We support Atiku Abubakar of the PDP because he will actualise the restructuring of this country. And as members of PANDEF, we believe that our votes will count so that restructuring will take place. It is in the interest, and welfare of the people of Niger Delta. “PANDEF had since 2016 resolved to work for the restructuring of this country. We also agreed that we will support the presidential candidate and political parties that understand our restructuring. When we screened 16 presidential candidates including that of the PDP, at the end of the exercise we were convinced that Atiku Abubakar made the best presentation to us. And we found out that he had been consistently talking about restructuring even before it became a national discourse. Chairman Akwa Ibom state chapter of PANDEF, Senator Etang Umoeyo, gave the assurance that the message would be spread to all the nooks and crannies of the state, even as he emphasised the need for a return to the erstwhile revenue-sharing formula which saw various regions controlling their resources and contributing certain percentage of the proceeds to the centre, regretting that, that was destroyed by military regime. Senator Umoyo said: “We promise to spread the message across to the grassroots that we are supporting Atiku Abubakar because of what he has in store for us; that he is the man coming to restore what had been there before military took over power,” he said.